Planning the next surf trip? We found a really cool new bikini brand that will help you to keep everything in place when riding some waves. Tinka Blu is an eco-firendly surfwear label, which provides exactly what surfer girls need: Functional surf bikinis. Show some love to this new brand and also have the chance to win the surf bikini of your choice! To find out about Tinka Blu and their philosophy I had an interview with the lovely founder Martina. Tinka Blu is an eco-conscious women’s surfwear label. We design surf bikinis made of recycled materials and we have just launched our first Surf bikini collection in December 2015. Your bikinis are sustainable. Can you tell me more about it? When it comes to design and quality we focus on durability. We have consciously decided for a raw and simple but still feminine design which is not “out” of fashion the next season. For our bikinis we use recycled swimwear fabric which is of high quality, includes UV-protection, is sun-cream resistant and OEKO-TEX® Standard 100 certified. The recycled swimwear fabric is regenerated from trash, such as fishing nets, carpets and other “post consumer materials” collected from oceans and landfills. Using recycled fabrics helps to reduce existing waste, save resources such as crude oil and energy, and reduce CO2 emissions compared to the production of normal swimwear fabrics. 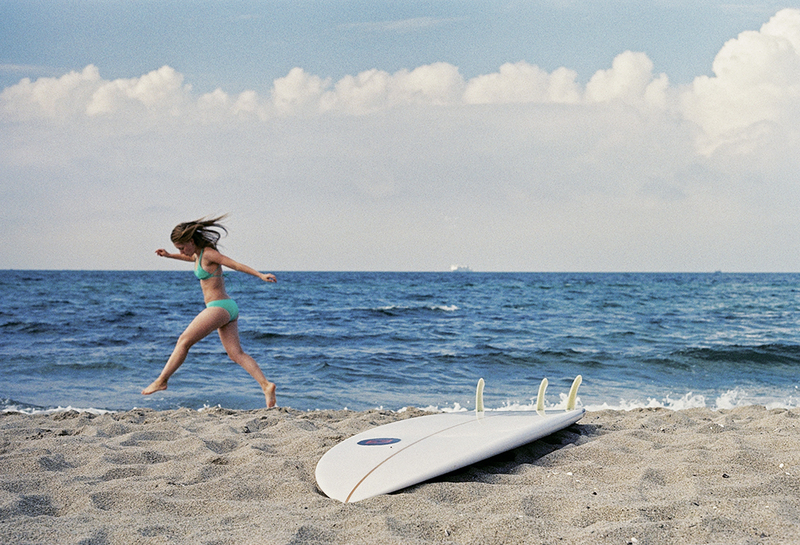 The materials and surf bikinis are sourced and produced in Europe. We also incorporate a more sustainable approach to all business processes, for example we source renewable energy, our website is hosted by a green provider and we ship climate neutral with GoGreen. In total, we can contribute positively to the reduction of waste and the environmental footprint we leave behind. Please see our website tinkablu.com for more details and information. The idea was born out of the passion for travelling to distant places where the water is warm enough to surf in bikinis. On the other hand I found it always hard to find a proper surf bikini which was also produced sustainably. I think we need to be more responsible with our resources and change our habits to a more conscious and sustainable lifestyle. The social and ecological problems caused by the fashion industry, driven by fast fashion and overconsumption are not to hide anymore. As long as there is no sustainable alternative, the consumer can only contribute to the problem without choice. Your bikinis are created for surfer girls… so they don’t fall off when we take waves? Our surf bikinis are functionally designed to stay put and keep everything in place during surfing. Our current collection consists of three different tops and bottoms and each has its own distinct, sophisticated cut. All tops are designed so that all strings or straps have a fix connection to the rest of the top and don’t move freely. To relieve the neck the straps go over the shoulders and are crossed and tied to the back. The material is comfortably soft, so that it does not cut in even if you tied the straps a bit stronger. The Soul Surfer top, for example, has an overlap in the front which gives some extra stability. Another one is for example the Performer top which is a sports bra style top. The bottoms are all broader between the legs than a usual bikini, so that you still have enough coverage in case you climbed on your surfboard a bit clumsy or forgot to close your legs when paddling out. Our Soul Surfer Bottom, for example, also has an integrated money-/keycase in the back. Where can we find your bikinis? Currently our surf bikinis are only available in our webshop tinkablu.com. First of all, we believe in fun. We believe you must love what you do. If you are not passionate about something, you don’t put the required energy in it which neither makes you happy nor you can’t succeed in the long run. The last year was challenging but I think I would have not come so far, if I don’t like what I do. Above all, we want to make a difference. In all what we do, we strive to make an impact and contribute positively to the world. Therefore, we do things with consciousness. We believe if we do things more consciously, we automatically start being more sustainable, thinking about the impact and consequences which our actions have on the environment and people… This is also true when it comes to quality. We dedicate ourselfs to what we do, also care about the details. We also believe life is a learning process. Every time we do something, we think about it how we can do it better the next time. It’s like surfing. You only can improve when you go out and practice, reflect and try to make it better the next time. We are still a young company and we definitely want to constantly improve our products. We are happy for any feedback. Last but not least. It’s about people. It’s a lot about people, how we treat and interact with each other. Do you have a favorite surf spot? 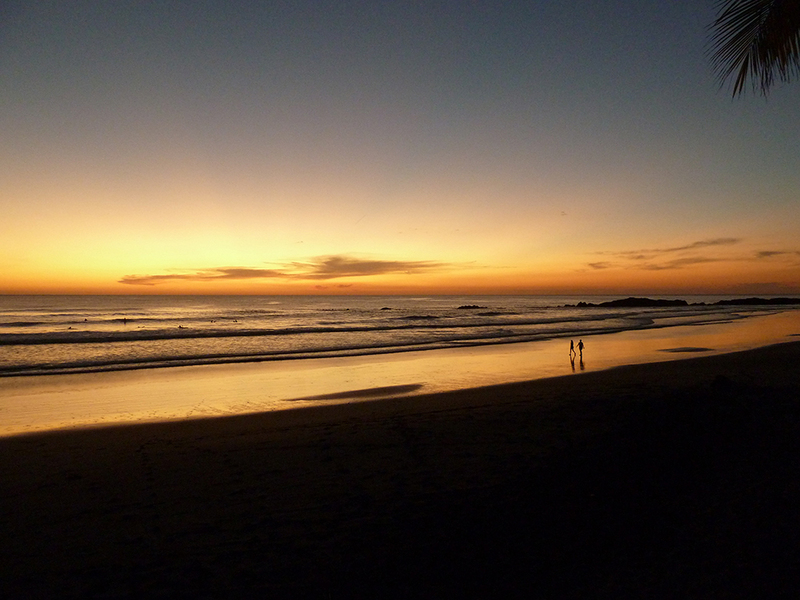 However, if I really have to choose one spot, I think it is El Tránsito (Nicaragua). It’s kind of a bay, with rocks on each side and a beautiful beach. The place itself is already magical. 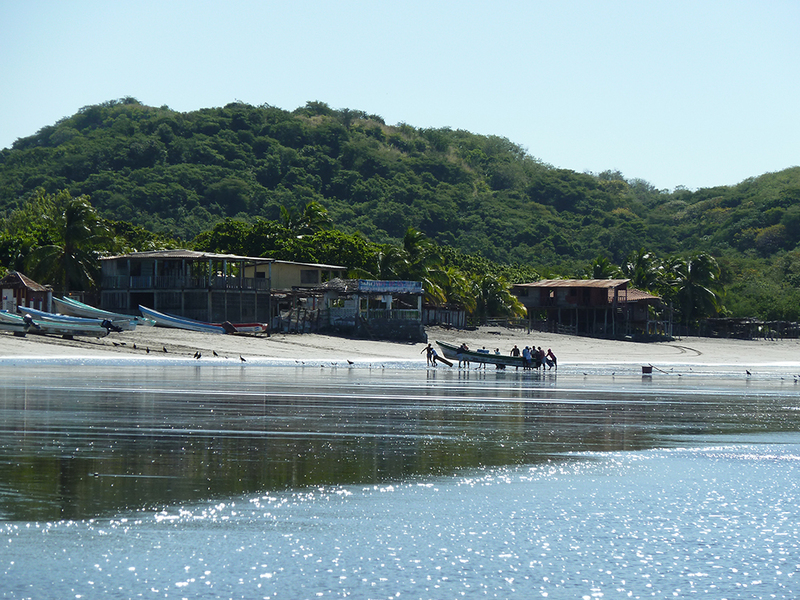 It’s only a little fishing village, so there is nothing to do except to surf! There are a couple of breaks next to each other all the way down the beach and the swell comes in from all directions. At the time I was there, there were only two places to stay, so it was never really crowded. One time, we were also going with the boat along the coastline and it is really beautiful! Also beautiful sunsets, every day! It’s cheesy but I still like it! Where is your next surf destination? However, I am really keen on going to Senegal. It still seems so undiscovered and untouched from tourism. I think it is still an adventure. Totally different culture, I guess. And from what I heard the surf should be really good and uncrowded. Also, I always wanted to go to Iran, just as a cultural trip. It should be really interesting to travel to. But then I discovered that there is also surf and they also have a growing surf community. So it’s a reason more to go there. It could be really fun. Maybe totally different. I don’t know. But that’s always the excitement before going somewhere. Apart from that, I haven’ t made it to Sri Lanka yet. I have heard nothing but good about it. And I love Asia in general. It’s always nice going back there. For shorter trips, I go to Portugal or Morocco. Easy to reach with direct flights from Berlin, great waves and definitely better weather than in Central Europe. To take part in the raffle, just LIKE and SHARE our facebook post and LIKE the Tinka Blu facebook page. The winner can choose a preferred model (top and bottom) from the Tinka Blu Homepage. The raffle takes place from 15.01.2016 until 20.1.2016, 23:59. The raffle is open for all persons from Europe. The winner will be announced on our facebook page and will also be contacted via a personal message on Facebook. Please respond within 5 days otherwise a new winner will be drawn. To draw a winner, all Facebook names will be recorded and stored. The data will be deleted 30 days after the raffle has ended at the latest. No contact details will be handed over to third parties. Contact details including address will only be stored from the winner and is used only for the purpose of sending the bikini. The prize can’t be paid in cash. Recourse to the courts is not permitted. Participants who violate Facebook policies, copyright or German law, will be excluded from the draw. ← Take the ocean home with you – a pinch of salt. always looking for a new surf bikini… want to participate… but the link to share leads to a page not a post? so what do you want me to share? yeah thx! i did it.